With summertime in Cadillac, you have outdoor adventure, trails, history and much more. Here is a recommended road map for those families looking to venture to the great outdoors this summer, on a budget. First off, you will need to book your accommodations. 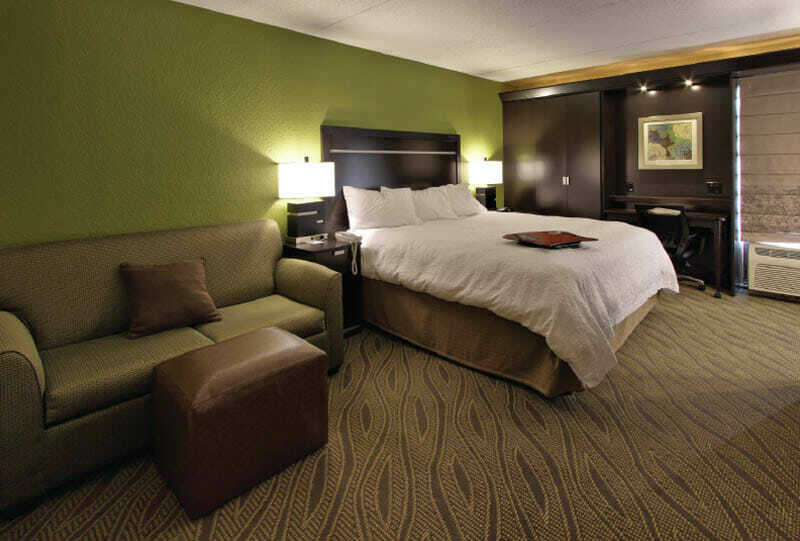 The great part about our area is the affordable lodging throughout the year with rooms starting at $69/night, mid-week and an average daily rate of around $99/night. This does not include taxes, but it is safe to say you will be able to find lodging for around $225.00 for the weekend for your entire crew. After checking in, we recommend you make your way downtown to grab a bite and walk the Lake Cadillac waterfront. Down there you will find the Cadillac Commons, with nightly bonfires in their state-of-the-art fire pit, and the kids are sure to love the splash pad. In addition, you can also walk the Keith McKellop Walkway which is complete with historical markers and kid-friendly amenities along the shoreline. 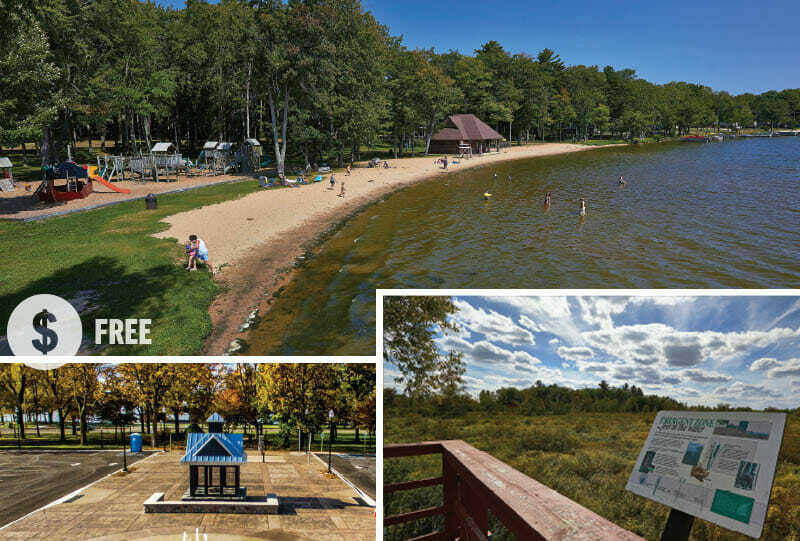 On the Beach: The City Park spans 3 miles and features 2 public beaches, boat launch, playgrounds, skate park, boardwalk, memorial fountain, the Rotary Pavilion with live music (performances Monday through Thursday, June through September), and a tree zoo. There is something to enjoy for every member of the family. In the Woods: With access to over 200 miles of multi-terrain trails, Cadillac is the ultimate spot to get out and explore. Read about all of the trails in the region starting on page 20 of this guide. Take self-guided nature hikes where plaques and markers will tell you all about the history of the area, or enjoy scenic overlooks on the Heritage Trail at the MDNR Carl T. Johnson Hunting & Fishing Center. After a morning enjoying the beach, or the trails in the Greater Cadillac Area, make your way to one of the local flavor foodie stops in the region, or try one of Trip Advisor’s “Top 5”in the Cadillac Area. On the Big Manistee River: The Cadillac Area features access to both the Manistee and Pine Rivers, which were voted #5 for the best places to canoe or kayak in America’s National Forests. Spend a day exploring the spectacular waterways of Northern Michigan on a river rafting, kayaking or canoeing adventure. See our website for river guides and take advantage of our rental liveries in the region servicing area rivers: choose between, Chippewa Landing, Pine River Paddlesports and Wilderness Canoe Trips. Each livery has rentals, friendly staff and a wealth of knowledge regarding our waterways. When you get off the river, pull ashore and set up camp and enjoy a picnic dinner on the banks of the river or at any of the picnic areas provided by the canoe liveries. Pontooning Lake Cadillac & Lake Mitchell: Experience the clear, warm waters of Lake Cadillac and Lake Mitchell. 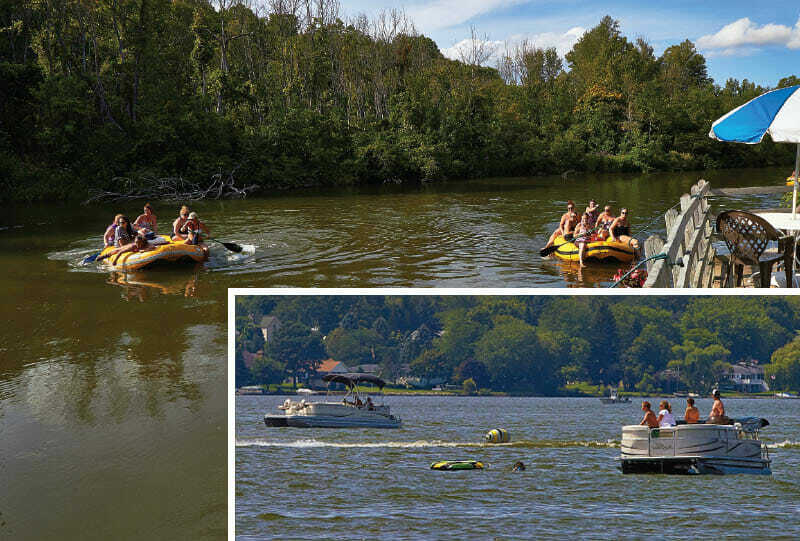 Funtime Rentals offers summer pontoon boat rentals starting at $150. This may stretch the budget just a bit beyond $500, but depending on food and entertainment, it can be within your $500 weekend budget. Pack a picnic lunch and dinner and bring it aboard and enjoy an amazing afternoon and early evening on Lake Cadillac. If you brought your bikes, now is the perfect time to use them as you make your way around the 7.5 mile Lake Cadillac Bike/Foot path. This is a great, easy rolling ride around the lake. While on the ride, you can also step back in time when you explore the Old Cadillac Architectural Tour featuring 16 self-guided tour sites throughout the area. 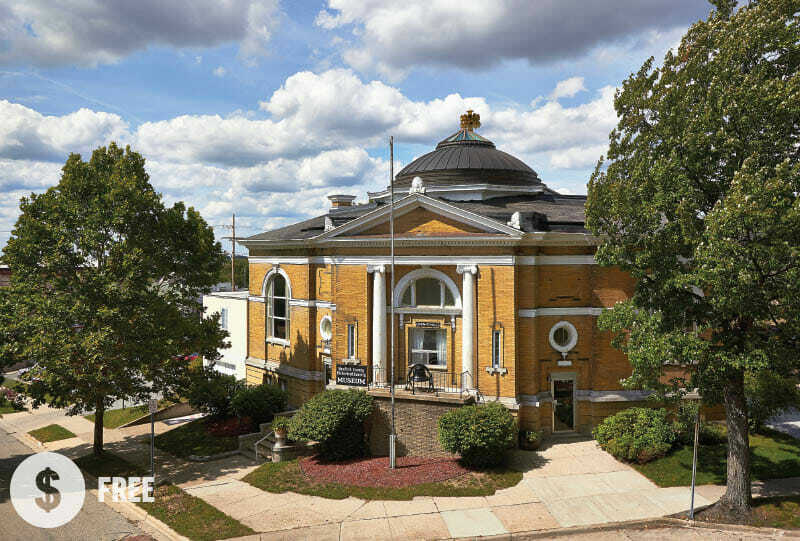 Learn all about Cadillac’s rich railroad, lumber, and tourism history when you visit historic buildings that represent the early days of the City of Cadillac. While you are riding, don’t miss the Centennial Boardwalk featuring historical storyboards located within the Sound Garden on the Clam River Greenway. After spending the morning exploring the historic district, shop our local boutique shops downtown, pick out that perfect souvenir to remind you of your weekend away and get ready to head back. Thank you for taking the time to explore Cadillac. We hope to see you this season!